Land Rover has just revealed the Range Rover Velar SVAutobiography Dynamic Edition which will be a limited edition offering. Developed by Land Rover Special Vehicle Operations, the British automobile manufacturer's bespoke division, this special edition of the Velar comes with a host of premium trims and materials along with distinct visual updates. This international prices of this edition start at £86,120 which translates to an approximate Rs 80.16 lakh (excluding import duties and taxes). 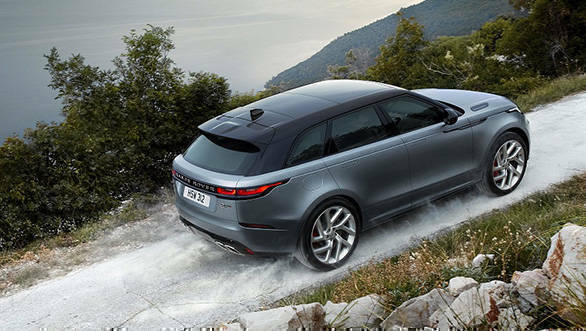 Land Rover India too will be offering the Range Rover Velar SVAutobiography Dynamic Edition in a made-to-order basis. 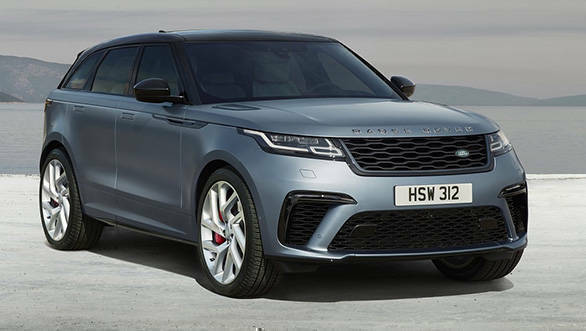 To make it distinct from the standard Velar, the Dynamic edition comes with a restyled bumper with larger air intakes, a new grille and lower side mouldings combined with a revised rear bumper featuring integrated quad exhaust finishers. The Range Rover lettering on the bonnet and tailgate has been tweaked with a knurled finish on the metal element of the two-piece letters. This special edition of the Velar will be available only in Satin Byron Blue with a contrast Narvik Black roof as standard. Land Rover also offers larger lightweight 21-inch wheels that weigh same at the 20-inch wheels. Further, customers can also opt for the silver sparkle finish and diamond-turned edging on the 22-inch wheels. The SUV comes with 395mm front and 396mm diameter rear brake discs that feature a two-piece construction to optimise weight. Inside, the SVAutobiography comes with twin-stitched, perforated and quilted Windsor leather. The customers can choose from four colour combinations Ebony, Cirrus, Vintage Tan and Pimento. The features list includes a 20-way adjustable heated and cooled front seats with memory and massage functions as standard. There is also an optional carbon fibre package for the interior along with steel weave, sports pedals and illuminated metal tread plates with Range Rover written on them. Land Rover mentions the calibrations for the AWD system, active rear locking differential, eight-speed transmission, steering and air suspension have all been tuned to suit the bespoke SVAutobiography Dynamic Edition that in turn delivers a more focussed driving experience. This includes upgraded anti-roll bars that reduce body roll during hard cornering and the revised set-up for the continuously variable dampers that works in combination with firmer air springs for the air suspension. Under the hood of the Range Rover Velar SVAutobiography Dynamic Edition is the supercharged five-litre V8 that produces 550PS and generates 680Nm of torque. These figures make the fastest Velar reach 100kmph from standstill in 4.5s with a maximum speed of 274kmph. This edition comes with SV's Variable Active Exhaust System that is 7.1kg lighter than the standard version with an improved gas flow that offers enhanced performance, claims Land Rover. "Developing the Range Rover Velar SVAutobiography Dynamic Edition is the kind of task Special Vehicle Operations was made for. The challenge here was to increase performance without compromising the composure, capability and refinement inherent in Range Rover Velar. 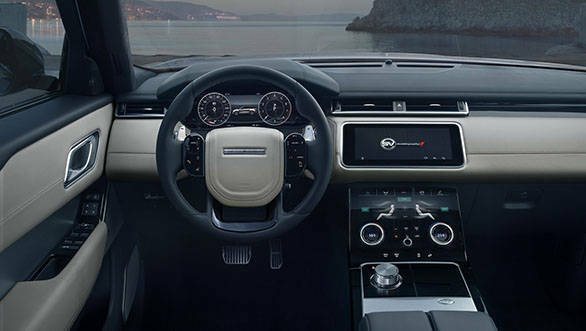 We've done this and, in the process, created an SUV that strikes a brilliant balance between go-anywhere practicality, dynamic performance and relaxing comfort  it truly is an SUV for any occasion," commented, Michael van der Sande, Managing Director, Land Rover Special Vehicle Operations.